Keolebogile (Lebo) Sebogodi is one of the CSIR's researchers who are making inroads into the challenge of creating value from industrial waste, specifically Kraft pulp mills. She is a resilient final-year PhD student who is dead set on making a difference, despite the challenges she has had to overcome. When Sebogodi (31), who hails from Lobatla Village in the North-West, commenced her studies in BSc in biology and chemistry at the North-West University in 2005, she had to overcome hurdles similar to those that many young first-year students face every year. Keolebogile (Lebo) Sebogodi is one of the Council for Scientific and Industrial Research (CSIR) researchers who are making inroads into the challenge of creating value from industrial waste, specifically Kraft pulp mills. She is a resilient final-year PhD student who is dead set on making a difference, despite the challenges she has had to overcome. When Sebogodi (31), who hails from Lobatla Village in the North-West, commenced her studies in BSc in biology and chemistry at the North-West University in 2005, she had to overcome hurdles similar to those that many young first-year students face every year. In her struggle to adapt to an unfamiliar environment, Sebogodi failed her first semester. This was the first time she experience failure in her academic life. Although the second semester went much better, she still could not proceed to her second year because the first-year modules that she had failed were prerequisites for the second year. However, this did not deter her from pursuing her goal. The setback meant that she would complete her three-year degree in four years. Subsequently, she went on to obtain her MSc in chemistry. After completing her Master’s degree in 2013, she felt the need to change her environment and started looking for new opportunities. Her search landed her at the CSIR Biorefinery Industry Development Facility (BIDF) in Durban. The BIDF supports innovation in a range of industries, including forestry, agroprocessing and other biomass-based industries. Funded by the Department of Science and Technology, the facility has developed a novel process to produce cellulose nanocrystals (CNCs) directly from wood sawdust, without the need for the conventional pulping and bleaching processes that are currently used to isolate CNC from wood. Her biggest research goal at the BIDF is to explore the use of green liquor dregs (GLD) in the treatment of acid mine drainage (AMD). This GLD has been reported to be the major inorganic Kraft pulp mill waste and is, unfortunately, being disposed of in landfills. On the other hand, AMD is a low pH, metal and sulphate rich leachate that is produced upon the oxidation of sulphide bearing minerals – found mainly in gold and coal mines in the gold and coal field. This leachate has been reported to be the most prevalent source of water contamination. Traditionally, AMD is treated with limestone and /or its derivatives. AMD is one of the major inorganic wastes in Kraft pulp mills and is regarded as the world’s most prevalent water contamination source. She believes that we are at a point where landfills should be regarded as a nest for value-added materials. Hence, the use of GLD in AMD treatment would serve as a solution that would provide the future generation with limestone to use in various fields, such as pharmaceuticals, and enable beneficiation of the waste. Sebogodi believes that fresh water is a basic need in life and that it is necessary to protect its sources at all cost to prevent its wastage and pollution. “Unfortunately, relying on this natural resource can only lead to its exhaustion. To avoid this predicament, alternative materials, such as industrial wastes, should be explored in AMD treatment technologies. 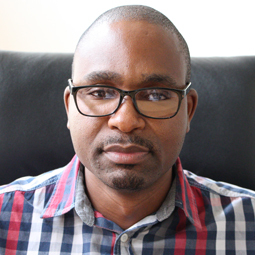 This would not only help to preserve limestone, but it would also be a cost-effective option of neutralising AMD and play a significant role in valourising the industrial wastes that are currently being disposed of in landfills,” says Sebogodi. “What I love most about my job is that it keeps me on my toes and provides me with opportunities to conduct research that can make an impact in the lives of people. As a researcher, my day can comprise one of two events – either searching for research material in the library or doing experimental work in the laboratory,” she says. Sebogodi is also passionate about seeing young people fulfil their dreams, irrespective of the challenges they encounter along the way. Her encouragement to them is that they should have a resilient spirit in the pursuit of their goals. They should not be deterred by the obstacles they face, but rather always go back to why they want to achieve that specific goal or dream.